Sony has created an impressive ultra-compact digicam that is blazing fast. The WX10 boasts a vast array of exposure settings and options, whether fully automatic or manual, along with some one of a kind 3D and Panorama type modes. While we did find a few disappointments, at just $279 US, the WX10 has a lot to offer. Read more in our Full Conclusion. 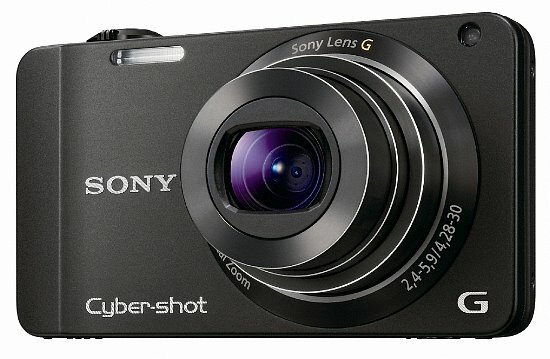 The Cyber-shot DSC-WX10 camera is Sony's flagship WX-series model for 2011. When looking over the camera's specifications, you'll notice they are very similar when comparing to both its cheaper (DSC-WX9) or more expensive (DSX-HX7V) siblings. Like many of Sony's new Cyber-shot cameras, the DSC-WX10 features a large 16.2-megapixel "Exmor R" back-illuminated CMOS sensor, which is great in lowlight situations, and is also capable of 10fps burst shooting at full resolution and recording full 1080 (60i) video. 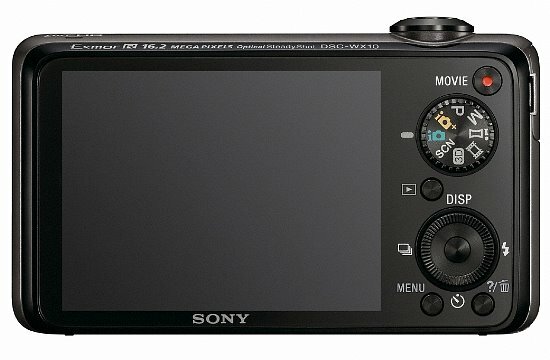 Sony has also included their new Dual Rec Mode, which allows you to capture 3-megapixel still images while shooting video in the 1080/60i AVCHD format. The DSC-WX10 features a bright (f/2.4), 7X optical zoom lens that covers a nice wide range of approx. 24 - 168mm; in 35mm equivalence. Included in each of this new generation of Sony Cyber-shot cameras are 3D Sweep Panorama and 3D Still Image modes. In these modes, the DSC-WX10 takes two consecutive shots in different focus positions to calculate depth. 3D Still Images can be seen in normal 2D or in 3D on compatible 3DTVs ( with all the needed optional accessories of course). Another 3D feature is called Sweep Multi Angle mode, where the camera takes 15 still images at different angles to assemble a panorama, which can be viewed on the camera's LCD screen by titling and panning the camera. Sony's DSC-WX10 is available in black with a MSRP of $279.99 US.